What can a GOOD Break Do For You? How do we look after our most important asset? OURSELVES... it’s a tricky business! Yet it couldn’t be more impertinent in the digital age to develop and maintain a balanced physical, mental, and what I call the ‘spiritual’ being. It can be an ever-consuming task. Working as an actor and creative across theatre, film & television industry, I recently took a sabbatical from my long-standing job. Although an incredible and exciting show, after thirteen years being part of a huge production, I knew I needed to turn my attention inwards and ask myself what I needed to grow... Allowing me the freedom and time a prolonged break could offer, this was the perfect opportunity to capitalise on this. So in the six months leading up to it, I decided to ‘act’ on a long-standing daydream and love of healthy eating and create my own food business. 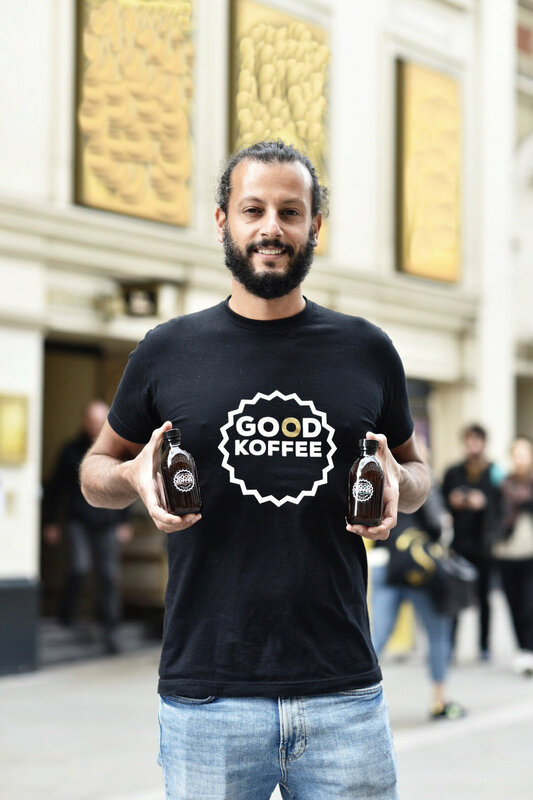 I began working to get all the pieces in place and enable me to hit the ground running once my break was in full swing… And so, GOOD KOFFEE was born. From an outside perspective, the artisan food & drink and the creative industries may seem somewhat unrelated. Theatre, film & tv life often has long unsociable hours, with lots of demands both physically and mentally. It has always made sense to me that one of the best ways I can stay energised and in good focus for the challenges it brings, whether for demanding acting roles, long hours or keeping my mind positive through the countless rejections of audition, where you “aren’t quite right for this one”, is to maintain a consistent exercise regime and sometimes more importantly, eat a balanced & healthy diet. Before starting GOOD KOFFEE, I would have considered myself an ‘expert’ health food consumer! I have always found it exciting to trawl the aisles of the independent health shops and supermarkets to discover what's new on the healthy food & drinks’ scene. 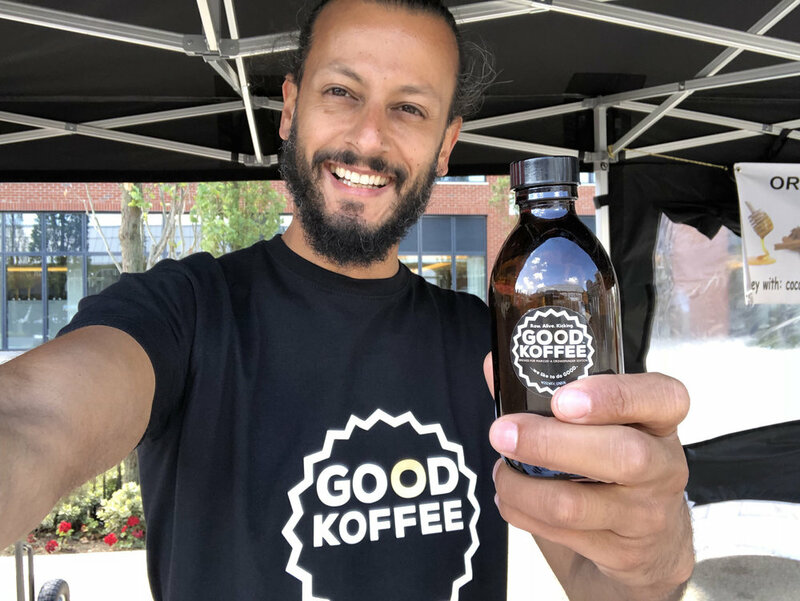 And it just so happened the idea for GOOD KOFFEE stemmed from my love of Kombucha that I discovered in New York’s Midtown stores over ten years ago. A lot of folks are now fermenting tea in the traditional way adding lots of fascinating flavours, and we are really excited to be selling online in our GOOD SHOP and at Yumbles, a brilliant artisan food and drinks retailer... we believe we are the first branded coffee kombucha in the UK and proud to be selling alongside more established Yumbles’ producer, Wild Fizz Kombucha, who I am a big fan of. Now there are lots of other great fermented products you can add to your diet, two of my favourites are Kefir and Saukraut! I often take a different perspective on things and being a big coffee fan, I considered fermenting coffee to transform it into a healthy and tasty chilled drink. And the initial response from everyone has been really positive.